Enjoying quality sleep takes more than just a nighttime routine and a healthy lifestyle. Bedding plays a significant role in ensuring you not only sleep as early as you should but remain asleep throughout the night. On this note, the types you choose dictate your comfort. You agree that a mattress is one of the essentials for quality sleep. But, how do you get to choose a suitable one? One point to consider is the comfort and the support the mattress offers and for how long it serves you in an excellent condition. Below are our top choices of the comfiest mattresses that you can get under $300. We have updated this list for 2018 so you can be sure you’re choosing from the latest bestsellers. In a hurry? 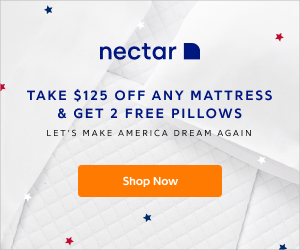 The best quality mattress for under $300 is Dreamfoam Bedding’s Arctic Dreams Mattress – guaranteed to help you get a comfortable night’s sleep, every night. If you’re working with a tight budget, you’ll want your queen or king size mattress to cost no more than $300 (or even less!). There are lots of inexpensive options and you can definitely find a quality bed mattress even on this budget. If you have just $300 to spend on a mattress, here is a list of 7 of the best options on the market. This budget mattress is our top winner because it ticked all the boxes. The 7.5″ Certi-PUR high-density foam layer combined with the 2.5″ cooling gel foam layer makes for a supportive and extremely comfortable night’s sleep. This mattress is medium level firm so you won’t sink into it. It also features a 0.75″ top cover making it soft to sleep on. The cooling gel layer helps increase breathability, to ensure you sleep fresh all night and don’t experience overheating in the night. The mattress is made in the USA and comes with a ten-year warranty. It comes compressed in a box for convenient shipping. Also, it’s easy to roll out and set up in a few minutes. This queen mattress under $300 is ideal if you’re looking for a mattress that is comfortable to sleep on but don’t fancy splashing out. This medium-firm 10-inch mattress combines the softness of the top cover with the great support of the high-density layer firmly supporting your back. It is designed to ensure you sleep all night comfortably while getting the support you need for pressure relief. The best thing is that the top cover can be removed for washing to keep the mattress in the best form all through. The mattress is breathable to ensure you sleep cool with less tossing and turning. For more comfort and contour, the mattress conforms to your body shape giving you a perfect contour. This ensures you sleep comfortably and do not have to worry about waking up sore and tired. Add to this the fact it’s hypoallergenic and comes with a 20-year warranty and a 30 day full refund guarantee trial, it keeps you within budget, it’s worth investing in. This 12″ medium-firm mattress has two layers of high-quality materials which gives this product a high quality feel. The 4 inches of the top layer ensure you sleep cool while enjoying the soft touch on the skin. The other 8 inches of high-density foam ensures the mattress has the right firmness to support you and prevent pressure pain on the joints and lower back. The mattress is designed to distribute the body’s weight evenly which ensures every part of your body rests. It gives balanced support for the pressure points which results in relaxed and restful mornings when you wake up. With this, you are less likely to toss and turn at night trying to find a comfortable sleeping position. Whilst very comfortable to sleep on it does overheat so hot sleepers may find they need a cooling mattress topper to help solve this issue. The open cell memory foam design of the mattress ensures you wake up with zero back, neck or shoulder pains. The mattress helps to align the spine which in turn reduces the pressure on the back and shoulders giving you a restful night. The 10 inches mattress comprises of 7 inches of dense polyurethane foam base and 3 inches of gel-infused foam for the top. What’s more, this medium to firm mattress has a cooling effect when the temperatures hit high. It wicks away excess moisture and heat ensuring you sleep cool, thanks to the breathability feature. With this, you can be sure of restful nights and energized mornings. The four-layer mattress consists of 3.5 inches of high-density base support foam with a reinforcing 3.5 inches of density foam providing excellent levels of comfort. On top of these layers is a 2-inch layer of comfort foam which is designed to provide a soft yet comfortable surface. The topmost layer is made up of 3 inches of memory foam which not only feels soft on the skin but gives the support needed. The memory foam layer is infused with natural green tea extracts to ensure freshness of the mattress. It keeps you fresh when it gets hot by wicking away excess moisture and heat for a comfortable sleep. The mattress comes in a box and stretches out entirely within 72 hours. You can’t the beat the price and quality of this comfortable and affordable mattress – an excellent choice for under $300. The double layer mattress guarantees comfort and support at its best. The topmost layer is made up of 2.5 inches of gel-infused foam for breathability. The other layer comes as a 7.5-inch layer of a high-density support base. This layer ensures excellent support for optimal spinal support and alignment. The top cover is designed to ensure that you sleep cool while enjoying the comfort. The Tencel blend fabric cover is of high quality to last long and protect the underlying layers of foam. The mattress comes compressed in a box which makes it easy to ship. On the same note, it is easy to install and set up takes a few minutes. This is the queen or king size mattress for you if you want some added comfort at night but have a smaller budget – it even comes with a 10-year warranty. The 10.5-inch mattress is of high quality to last long while providing the comfort you need the most. It comes with a stretchable cover that together with the memory foam improves the conforming properties of the mattress. The memory foam has infused gel particles that give the mattress a plush feel for extra comfort. The high-density foam at the base conforms to the body shape ensuring ample support for the back which ensures you sleep comfortably. This ensures you toss and turn less, thanks to the great support. The refreshing gel regulates temperatures guaranteeing you sleep cool. Also, the memory foam is naturally hypoallergenic – a great feature for anyone who suffers from allergies. That means the mattress is safe to use for the entire family. More to this it comes with a 10-year worry free warranty, we think it’s a great investment. You can still find a comfortable mattress without breaking the bank. These top ones are excellent examples of comfy mattresses under $300. They all have a quality guarantee, and hopefully, you can choose the most suitable one depending on your needs. One thing you can be sure of is that they all deliver comfort and the support your body needs. For a great night’s sleep and just the right amount of support under your body, go for the Dreamfoam Bedding Mattress. You might also be interested in checking out our review of the best memory foam mattress for the money. 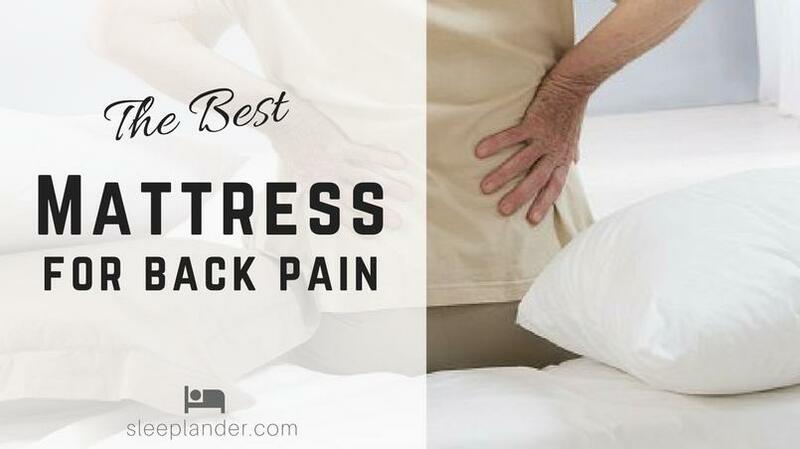 What is the Best Mattress for Managing Back Pain in 2019?